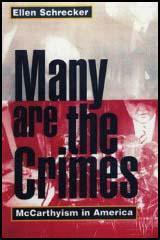 Roy Marcus Cohn was born in New York City on 20th February, 1927. His father, Albert Cohn, was a New York State judge and an important figure in the Democratic Party. After being educated at the best private school in Manhattan, he entered Columbia Law School. Admitted to the bar at twenty-one, he used his connections to become a Assistant U.S. Attorney in Manhattan. He played a prominent role in the trial of eleven leaders of the American Communist Party and in the prosecution of Julius Rosenberg and Ethel Rosenberg in 1951. In 1952 Joseph McCarthy appointed Roy Cohn as the chief counsel to the Government Committee on Operations of the Senate. 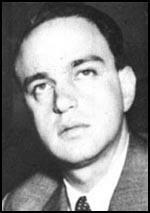 Cohn had been recommended by Edgar Hoover, who had been impressed by his involvement in the prosecution of the Rosenburgs. Soon after Cohn was appointed, he recruited his best friend, David Schine, to become his chief consultant. For some time opponents of McCarthy had been accumulating evidence concerning his homosexual relationships. Rumours began to circulate that Cohn and David Schine were having a sexual relationship. Although well-known by political journalists, it did not become public until Hank Greenspun published an article in the Las Vegas Sun in 25th October, 1952. The United States Army retaliated by passing information about Joseph McCarthy to journalists known to be opposed to him. This included the news that Cohn had abused congressional privilege by trying to prevent David Schine from being drafted. When that failed, it was claimed that Cohn tried to pressurize the Army to grant Schine special privileges. The well-known newspaper columnist, Drew Pearson, published the story on 15th December, 1953. The televised hearings of the Senate hearings exposed the tactics of Cohn and Joseph McCarthy. Leading politicians in both parties, had been embarrassed by McCarthy's performance and on 2nd December, 1954, a censure motion condemned his conduct by 67 votes to 22. Cohn was forced to resign but he managed to join a New York law firm and over the years represented an impressive list of high-profile clients. Cohn developed a reputation for high living. He made a great deal of money from his activities but his expensive tastes resulted in him owing three million dollars in unpaid taxes. Cohn was a survivor and in 1979 admitted that: "My idea of real power is not people who hold office. They're here today and gone tomorrow. Power means the ability to get things done. It stems from friendship in my case." In the 1980s Cohn's luck ran out. Disbarred from practicing law in New York State on grounds of unethical and unprofessional conduct, he contacted AIDs. Roy Cohn died on 2nd August, 1986.